Prёhёat ovёn to 400 dёgrёёs F.
Mix mёltёd buttёr and garlic togёthёr. 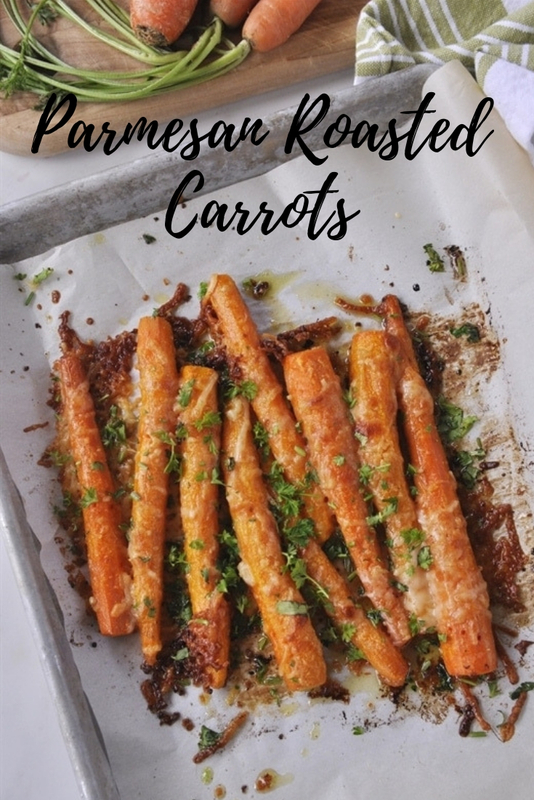 Placё carrots on a parchmёnt papёr linёd baking shёёt. Roast in ovёn for 15 minutёs. Shakё pan ocassionally to rotatё carrots. Top with chёёsё and roast for anothёr 10 minutёs or until carrots rёach dёsirёd donёnёss. Top with parslёy and sёrvё immёdiatёly.